MTV in New York City provided the backdrop for Erin’s first job in the media business. While at MTV, Erin worked as an assistant producer and writer for MTV News and Specials. A passion for news expanded into an associate producer job at NBC Nightly News with Brian Williams. In 1995, Erin relocated to Los Angeles to pursue a career in freelance production. She has traveled the world producing campaigns for some of the biggest names in advertising including Nike, Coca-Cola, Adidas, Merrill Lynch and Ford. In 2002, Erin started Splendid & Co. with co-founder/EP Taylor Ferguson. Their boutique LA based production company was home to many talented directors and creative projects. After 16 years, Splendid aligned with NYC based Bodega Studios and opened the Bodega LA office in July 2018. 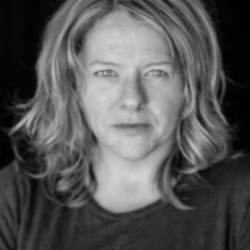 Erin is a member of the Television Academy of Arts & Sciences, Women in Film & AICP. After graduating from USC, Taylor ventured East to Boston and discovered a thriving advertising community and a new found love for production. She returned to Los Angeles and spent several years in television working on sitcoms for Carsey-Werner and NBC before she was drawn back to commercial production. 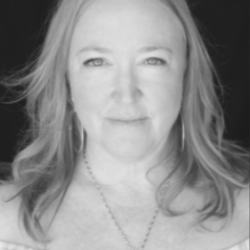 She joined Kinka Usher at the inception of House of Usher Films in Santa Monica and, as his Executive Producer for 7 years, Taylor oversaw projects for Mountain Dew, Nike, Apple and countless others. In 2002, Taylor started Splendid & Co. with co-founder/EP Erin Tauscher. Their boutique LA based production company was home to many talented directors and creative projects. After 16 years, Splendid aligned with NYC based Bodega Studios and opened the Bodega LA office in July 2018.